An easy alternative to nails, screws and glue allowing for a quick securing solution indoors and out. Use to keep items tidy and secure such as large pictures, mirrors, tools etc. Holds up to 7kg per 50 x 100mm. 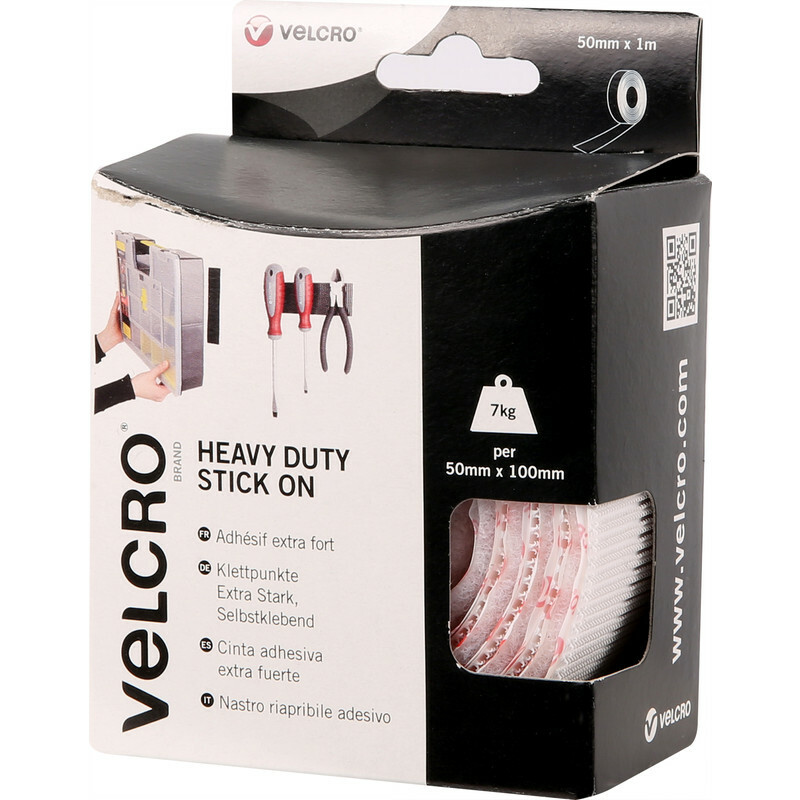 VELCRO Brand Heavy Duty Stick On Tape White 50mm x 1m is rated 3.5 out of 5 by 2. Rated 3 out of 5 by Shandee from Substitute item. This was a substitute item as my first choice was out of stock. Had to cut it down to size which was fiddly but the velcro was super strong so much so we had to anchor the backing tape on the fridge door. Would have preferred a neater job but the doors not coming open so it's job done!